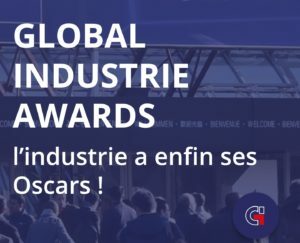 We are pleased to inform you that our Cardemy platform is nominated at Global Industrie awards in the category : Successfull collaboration! Global Industrie is the second most important industrial fair in France. It will take place in Lyon from 05 to 08 of March. The Global industry awards reward the most innovative products in 7 categories of industrial field for the year 2018 : production performance, new technology, outstanding project, industrial transition, responsible solution and successful collaboration. We are convened the 14th of February in Paris at a Grand oral exam to present the project and to exchange with the jury. The results will be announced and the Awards will be presented at a special reception during the Fair in Lyon.